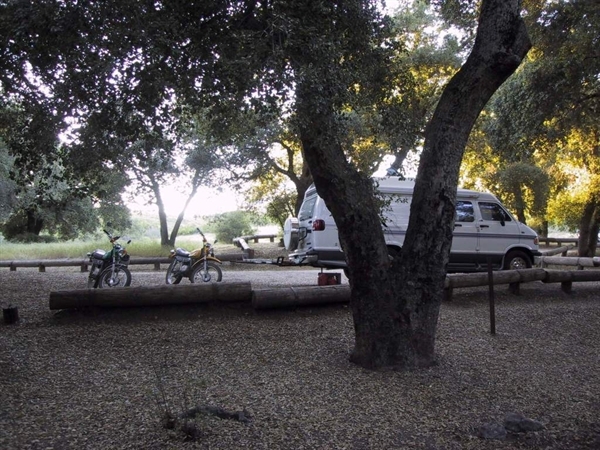 Local Directions: From Pine Valley, CA, take Interstate 8 east 6.3 miles to "Buckman Springs" exit. At end of off ramp, turn right and go 0.1 miles to stop sign. Continue straight onto Buckman Springs Rd. 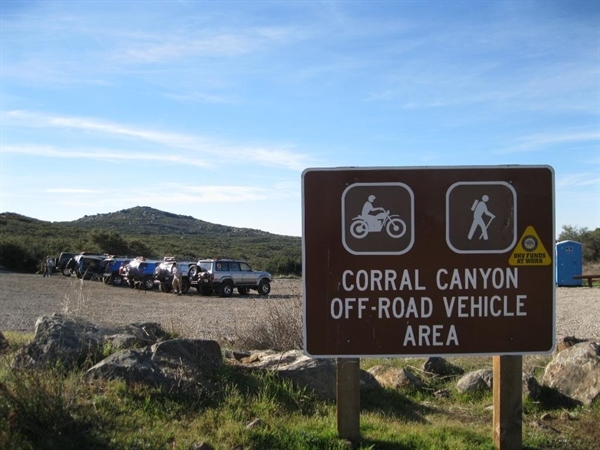 and go 3.3 miles to Corral Canyon Off Road Vehicle Area sign (Corral Canyon Rd. - Forest Rt. 17S04). Turn right onto Corral Canyon Rd. and go 5.9 miles to "Y" intersection (Four Corners Trail head sign). Bear right and go 1.4 miles to campground.